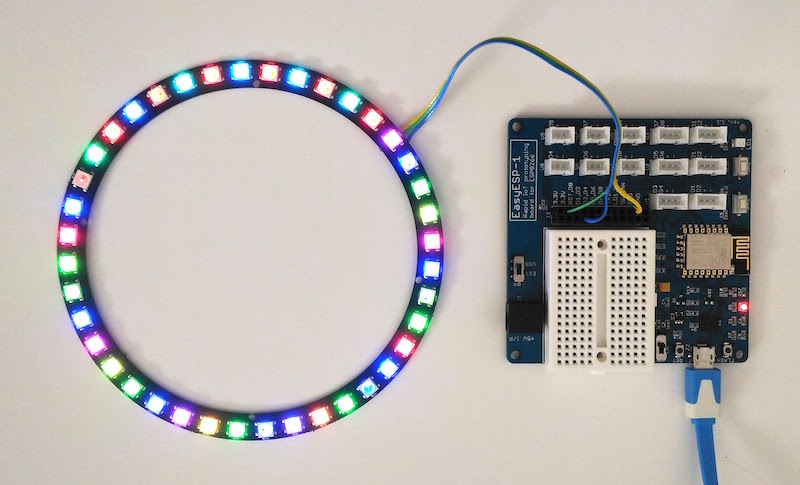 This tutorial describes how to interface a WS2812B RGB LED ring or Adafruit’s NeoPixel ring to ESP8266. The WS2812B is a smart RGB LED with a control circuit integrated in a 5050 SMD package. The RGB data transfer occurs through a single data input line using single NZR communication mode. 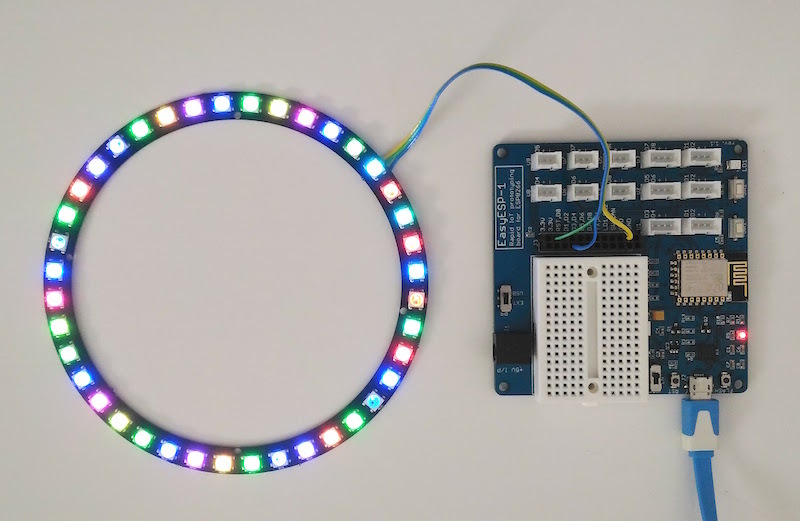 Connection between the NeoPixel ring and ESP8266 is through a single data wire. I am using EasyESP-1 here for illustration. 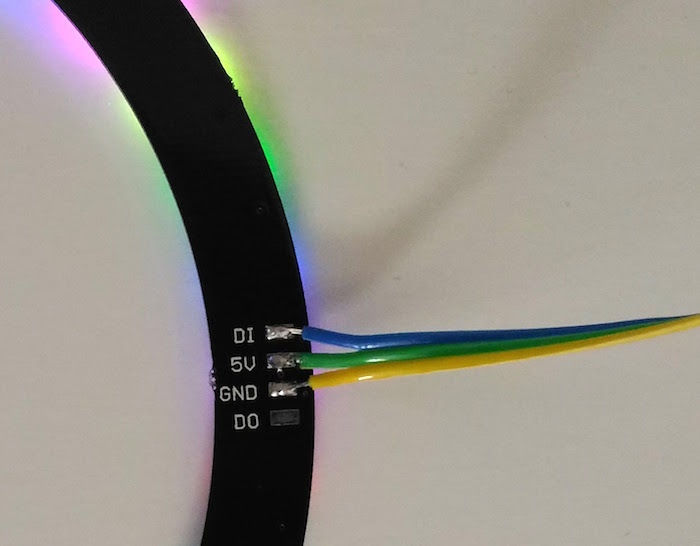 The Data In (DI) line of the NeoPixel ring connects to D1 pin of EasyESP-1. VCC and GND pins go to 3.3V and GND terminals of EasyESP-1. I used a 40 RGB LED NeoPixel-compatible LED ring from Elecrow for this experiment. 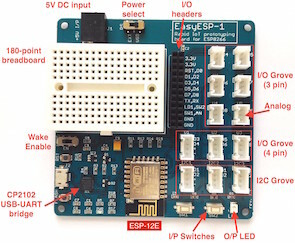 That’s all you need to change to run this example with the current setup of the EasyESP-1 and RGB LED ring. 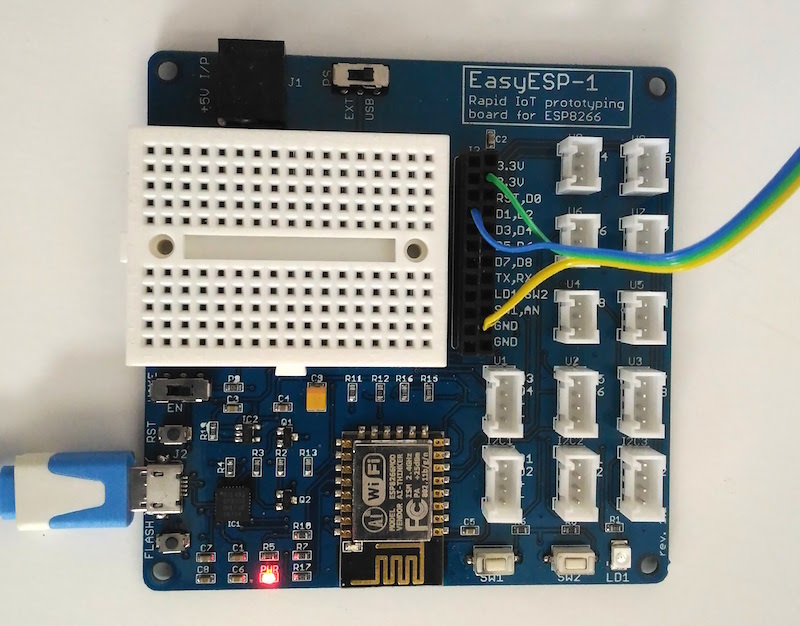 Note that you must have your Arduino IDE setup to program ESP8266 according to the instructions posted in Tutorial 1: Setting up the Arduino IDE for EasyESP-1 prior to run this example. Then upload the modified example code and see the output.